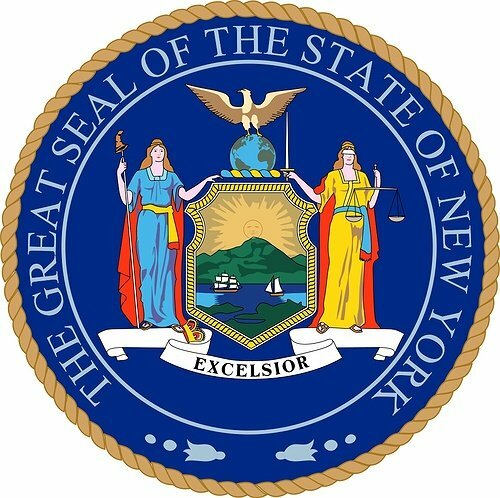 Governor Andrew M. Cuomo today announced that the New York State Board for Historic Preservation has recommended the addition of 26 properties, resources and districts to the State and National Registers of Historic Places. Albany, NY - June 12, 2015 - Governor Andrew M. Cuomo today announced that the New York State Board for Historic Preservation has recommended the addition of 26 properties, resources and districts to the State and National Registers of Historic Places. The nominations reflect the breadth of New York’s history, ranging from one of the last amusement park rides left at the 1964-65 New York World’s Fair in Queens, to the site of a 1943 school segregation fight in Rockland County. State and National Register listing can assist property owners in revitalizing buildings, making them eligible for various public preservation programs and services, such as matching state grants and state and federal historic rehabilitation tax credits. Spurred by the state and federal historic rehabilitation commercial tax credits administered by the State Historic Preservation Office, developers invested $500 million statewide in 2014 to revitalize properties listed on the National Register of Historic Places. Homeowners using the state historic homeowner rehabilitation tax credit invested more than $9.8 million statewide on home improvements to help revitalize historic neighborhoods. Once the recommendations are approved by the state historic preservation officer, the properties are listed on the New York State Register of Historic Places and then nominated to the National Register of Historic Places, where they are reviewed and, once approved, entered on the National Register. More information and photos of the nominations is available on the Office of Parks, Recreation and Historic Preservation website. Endicott-Johnson Medical Clinic, Binghamton – The 1928 hospital was built to serve its employees by the Endicott-Johnson Company under the leadership of George F. Johnson, a paternalistic figure who initiated his own brand of philanthropy to provide better working conditions for employees, assimilate immigrants into American society and promote the values of “ideal” mainstream American citizens. Lithuanian National Association Hall, Binghamton – Constructed in 1917, the building was the most important center of activity for Binghamton’s strong and vibrant Lithuanian immigrant community and their descendants for nearly 50 years. Walter Beckwith House, Stanford – The property reflects the success of dairy farmer Walter Beckwith, who, in 1876, built an impressive Second Empire-style house and carriage house. Revival house at 154 East Main Street around 1835, the district’s residential architecture reflects nearly 100 years of the village’s growth. Saints Peter and Paul Orthodox Church, Buffalo – Designed in 1932 in the Byzantine Revival style, the church was built after the Bolshevik Revolution swelled the number of immigrants fleeing Russia to practice their religion freely in the United States, precipitating the need for a larger worship space in Buffalo. American Radiator Company Factory Complex, Buffalo – Developed between 1891 and 1939, the manufacturing and research facility led the way in advancing steam-heating technology as part of a movement towards better health and safe, more cost-effective alternatives to coal. The Uplands, Keene Valley – The impressively scaled and highly intact example of seasonal Adirondack camp architecture was erected in two principal phases between 1910 and 1925. Rice-Dodge-Burgess Farm, Winfield – The farm includes a settlement period stone house (1830); timber-framed barn (early-mid 19th c.); stone smoke house (early-mid 19th century); small family cemetery (dating to 1827); stone dam, mill pond, and mill ruins (between 1815-1830); and farm fields under cultivation since at least the 1820s. Park-State Historic District, Brockport – the district reflects the architectural and social development of the village from 1820-1930, starting in the era when Brockport was a growing village, home to thriving industrial and commercial enterprises, encompassing the railroad era, and finally the village’s shift in orientation from commerce and industry to education. Chili-West Historic District, Rochester – Creation of the intact residential district was sparked by a series of building booms, and by 1935 it was fully built out and had attained the characteristics of an outlying urban neighborhood accessible by street car and automobile. Historic District is largely due to its extant historic housing stock of homes in the Colonial Revival, American Foursquare, Craftsman and Tudor Revival styles, making the area a virtual snapshot of the development of the city’s Nineteenth Ward in the early 20th century. Westside Unitarian Church/Congregation Ramath Orah, New York – The religious building is associated with two important religious organizations historically located in Morningside Heights: the Unity Congregational Society of the City of New York, which constructed the building in 1921-22, and the Congregation Ramath Orah, a Modern Orthodox Jewish congregation composed of immigrants who fled Luxembourg during World War II and purchased the building in 1942. Globe Woolen Company Mills, Utica – One of the most intact woolen mill complexes still in the city was in operation from 1873 to 1953, when textile manufacturing was a dominant Utica industry. St. Francis De Sales Church Complex, Geneva – The complex includes four historic buildings, beginning with its church, dated to 1864, and including the 1868 rectory, 1874 school (expanded 1909) and 1874 convent and reflects the rapid and extensive growth of the Roman Catholic community in Geneva. Cottage in the Pines, Deer Park – Built ca.1895, the intact example of a vanishing vernacular Shawangunk Mountain boarding house, which provided less expensive accommodations than hotels or resorts. Holley Village Historic District, Holley – The district’s 37 properties make up the commercial and institutional core of the village as it developed from 1822 to 1931; it was built along a distinctive street plan that was oriented to the Erie Canal’s irregular alignment as it spanned Sandy Creek. 1964-65 New York World’s Fair Carousel, Queens – A combination of two historic Coney Island carousels, it features a wood-carved lion, two chariots, and seventy-one horses and is one of the rare surviving amusement park rides associated with the iconic New York World’s Fair of 1964-1965. Sylvan Cemetery, Staten Island – Since its first burial in 1795, the cemetery is the final resting place of many prominent families who not only helped to develop the neighborhood of Travis, but Staten Island as a whole. Main School, Hillburn – The school is significant as the focus of a prominent school desegregation battle in 1943, when a coalition of black parents joined with the NAACP to successfully gain black students’ admittance to the new and improved school facilities they were excluded from. First Presbyterian Church Complex, Gouverneur – Completed in 1893, the imposing church is representative of the Romanesque Revival style constructed with locally quarried Gouverneur marble, a regional stone known for its tremendous quality and durability. Horace Mann School, Schenectady – The school was built in 1908 in the city’s Hamilton Hill neighborhood as part of an aggressive building campaign to accommodate soaring student enrollment in the public schools. St. Columbia School, Schenectady – The 1923 parochial school served as a unifying force for Schenectady’s Irish Catholic population, the city’s oldest immigrant group, which by the 1920s was dispersed throughout the city. Babylon Library, Babylon –The Neoclassical Revival style library was built in 1911, reflecting a national trend in establishing libraries in smaller villages and towns throughout the United States in the late 19th and early 20th centuries. Daniel and Henry P. Tuthill Farm, Jamesport – The historic family farmstead includes a Greek Revival farmhouse (1840) barn (1877), a potato barn (c. 1930s) and a small, early 20th century outbuilding. Burton Hall, North Easton – Completed in 1901, this building was constructed through the philanthropy of lifelong Easton resident Isaac A. Burton to serve as a place of assembly for Easton residents and as the center of town government. Barna C. Roup House, Perry – Built in 1898, the Queen Anne-style house was constructed during the village’s period of major growth and was owned by Barna C. Roup, a notable local attorney. Subject: LongIsland.com - Your Name sent you Article details of "Governor Cuomo Announces 26 Properties Nominated to State and National Register of Historic Places"